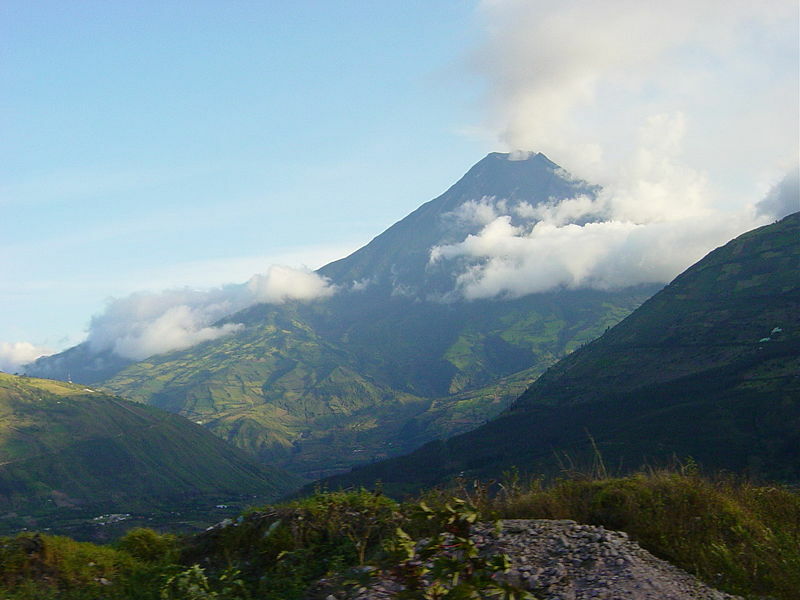 Tungurahua is a steep-sided stratovolcano located in the Cordillera Central of Ecuador at 5023 m of altitude. Also known as "The Black Giant", the volcano is famous for its sudden, explosive and violent eruptions. 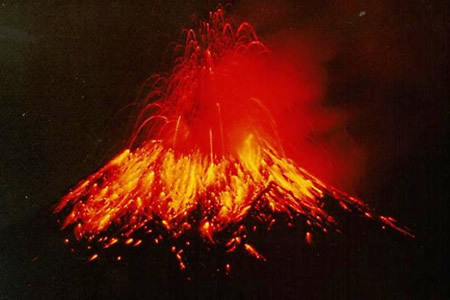 Volcanic activity restarted in 1999 and is currently ongoing (2008). 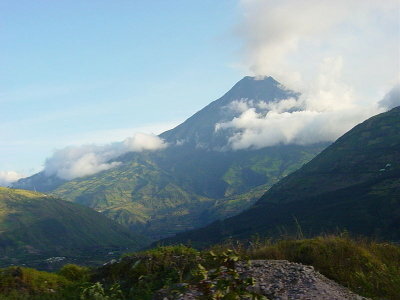 The volcano Tungurahua on 28/11/04. Photo: Martin Zeise. Tungaruhua on eruption on 2/11/99. Photo: Alcinoe Calahorrano/USGS. Historical eruptions from the summit crater have included strong explosions and sometimes lava flows, lahars and pyroclastic flows that reached populated areas at the volcano's base. Every severe eruption forces thousands of inhabitants to evacuate. Ash from the volcano also threatens agriculture as it covers farmland, destroying property, crops and livestock.